Caption: Joint signing ceremony for new proton center framework agreement. 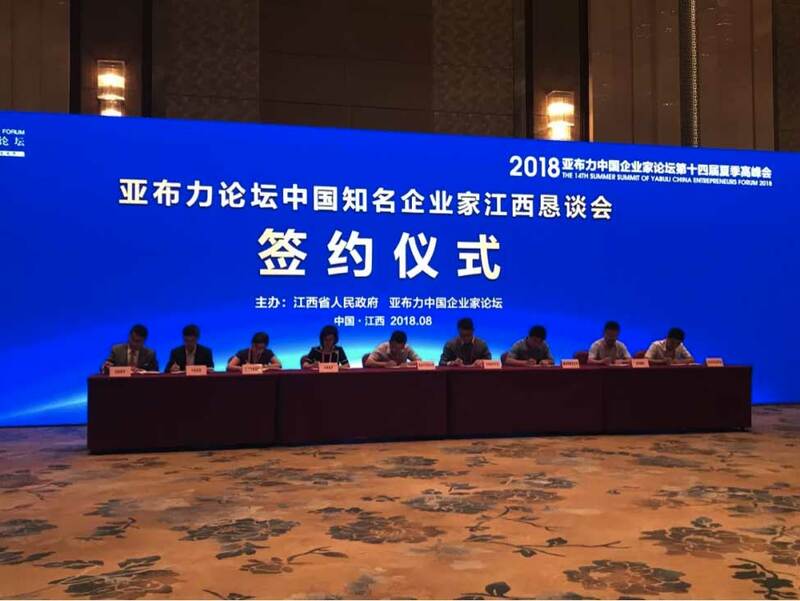 Liu Qi, Party Secretary of Jiangxi Province, Yi Lianhong, Deputy Party Secretary of Jiangxi Province and Acting Governor and several other senior government officials attended the signing ceremony. James Meng, President of Mevion Medical Systems, Dou Fangfang, President of Jiangxi Cancer Hospital, and Yu Meng, President of China Aviation Trust Co. signed the agreement on behalf of the various parties. On August 24, at the opening of the 14th Summer Summit of the Yabuli China Entrepreneurs Forum, representatives of Mevion Medical Systems, Jiangxi Cancer Hospital and China Aviation Trust Co. signed a joint framework agreement for building a proton therapy cancer treatment center in Jiangxi Province. Cancer has become the leading cause of death and a major public health burden in China, including Jiangxi province. There are more than 80,000 new cancer patients in Jiangxi province each year with over 47,000 deaths per year due to malignant tumors. At present, only two proton centers are operating in China. With the growth of the Chinese economy and the advancement of new clinical capabilities, adoption of modern proton therapy technology is accelerating in China. Shanghai, Anhui, Shandong and other provincial and municipal governments have successfully promoted and invested in the construction of proton therapy centers. The agreement signed last week formalizes the strategic partnership between Mevion Medical Systems, Jiangxi Cancer Hospital and China Aviation Trust Co. The three parties will collaborate with their complementary resources to build a world-class, nationally leading proton hospital and bring the world's most advanced cancer treatment technology to Jiangxi. Together, this effort will improve the access to medical care in Jiangxi Province, benefiting both patients in the province and surrounding areas. Mr. Lawrence Tian Yuan, Chairman of Mevion Medical Systems, said that Mevion has the world’s first compact, single-room, proton therapy system which is capable of providing the most advanced beam delivery in an efficient manner. It is also the most economically successful equipment choice for proton centers. Mevion has deployed their compact technology to eight leading hospitals in the US and Europe. The company’s latest product, the HYPERSCANT pencil beam scanning system, received regulatory clearance in the US and EU in 2017 and successfully treated the first patient in March of 2018. With the support and endorsement of Jiangxi government, this three-way cooperation will place Jiangxi Province at the forefront of the world of proton therapy, according to a company press release. This is a major milestone in the progress of cancer treatment in China. Mevion, Jiangxi Cancer Hospital and China Aviation Trust Co. sign agreement to build proton center. Appl Rad Oncol.